There are two ways of looking at Justin Verlander's outing tonight. One is that he used to deal like Gerrit Cole is for the Pirates tonight, and doesn't anymore. The other, is Verlander did make progress. He adjusted well after a bad start and kept the Tigers in the game. I think he is going to contribute significantly to the Tigers as the season moves on. 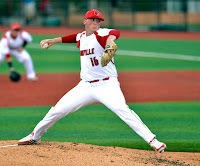 He did hit 96 mph and started to show better command. Ultimately, Verlander's outing tonight was much more good than bad. 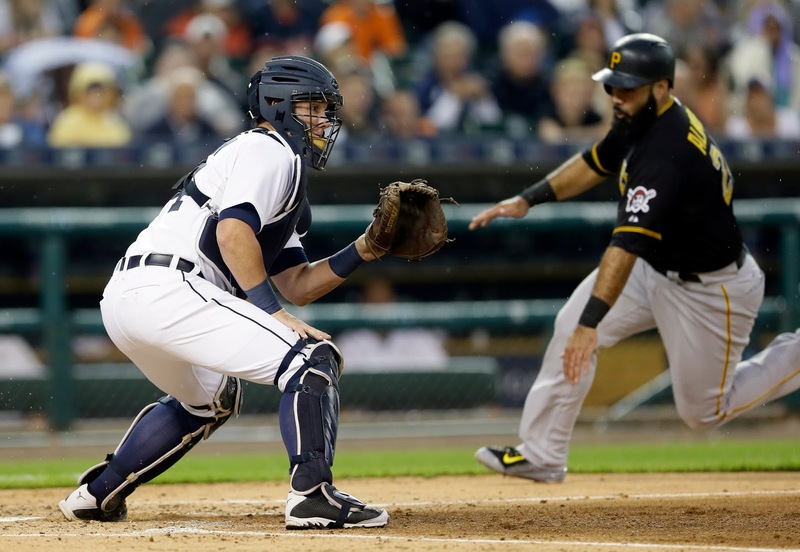 - I've viewed James McCann as similar to his manager, Brad Ausmus, as an MLB catcher. He is fundamentally sound, smart and athletic with some, but not a lot, of pop in his bat. But there are signs he may be better than that if hits his upside. His throws tonight have brilliant. He's started to show some power. And he is starting rake against right-handers, not just lefties. 2014 - 38-32, half-game up AL Central (lost ALDS to Baltimore). 2013 - 39-31, 3.5 games up AL Central (won ALDS over Oakland, lost ALCS to Boston). 2012 - 34-36, 3.5 games out AL Central (won ALDS over Oakland, won ALCS over Yankees, lost World Series to San Francisco). 2006 - 46-24, 1.5 games up AL Central (as wild card won ALDS over Yankees, won ALCS over Oakland, lost World Series to St. Louis). 2003 - 18-52, 20 games out AL Central (119 losses most in Tigers' history). 1987 - 38-32, 6 games out AL East (lost ALCS to Minnesota). 1984 - 52-18, 8.5 up AL East (won ALCS over Kansas City, won World Series over San Diego). 1972 - 38-32, 2 games down AL East (lost ALCS to Oakland).